Krinio / by Rosemary Austen. Performers: The Seymour Group ; Mark Summerbell (conductor) ; Alex D'Elia (solo violin). Capture session: Recorded at Sydney Conservatorium, 31 May 2003. 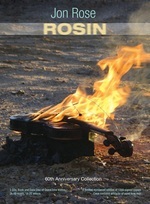 Score: Krinio : for violin, flute, clarinet, cello, percussion and piano / Rosemary Austen. Score [ePDF]: Krinio : for violin, flute, clarinet, cello, percussion and piano [eScore] / Rosemary Austen.